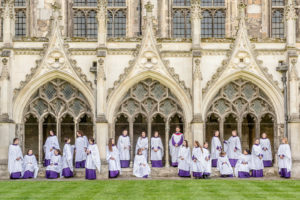 The performance of world class choral music is central to Canterbury’s ethos of welcome and creativity. Daily sung services, special events and chorister training all contribute to the legacy of this inspirational place. To maintain this level of excellence and sustain our musical heritage for generations, we have created the Your Voice endowment. We invite you to support this vital fund, with a gift to secure your choice of a dedicated day of music. Your day can be named for a loved one, an anniversary in your life or simply an act of appreciation. As a new programme, most days of the year are currently available, with exceptions such as Advent. With your gift, you will know that each year your contribution will be honoured at Canterbury. Your Voice gives you the chance to strengthen your connection with this inspiring place. A single gift of £25,000 to secure your day in perpetuity. An annual gift of £1,000 with a future pledged donation, such as a legacy, of £25,000. Recognise your gift on your chosen day at the Cathedral entrance and at Evensong. 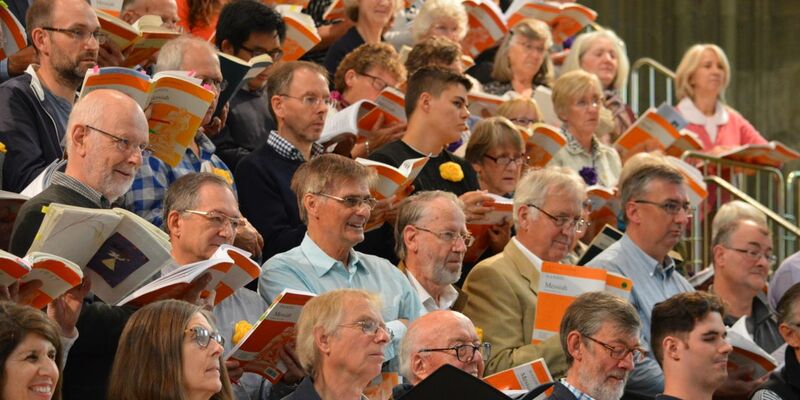 Offer priority tickets to some of our most special choral performances. Invite you and your loved ones to the Cathedral on your chosen day, or to our biennial Benefactors’ Days. It doesn’t matter what your belief, culture or language is – try and get to Sung Evensong and just enjoy the beauty of the place and the music.